I am going to pick up where I left on on day 4, when we took our first monorail ride of the trip to get back to Bay Lake Tower to see our new home and have some rest time. Our hotel was the first stop from the magic kingdom, so it made much more sense to monorail home from the park than to go to the park. 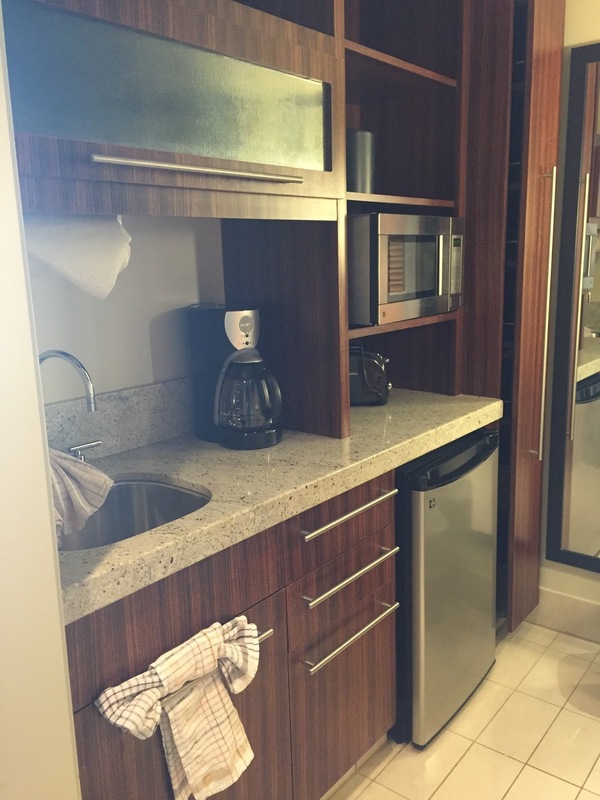 We loved our space at Bay Lake Tower. 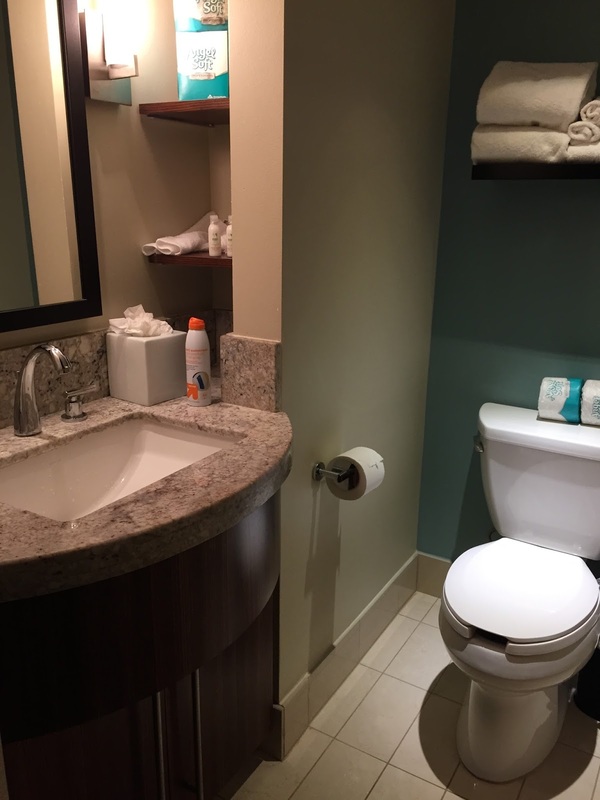 The rooms have a cool modern feel, but with little more subtle disney aspects. We had a spectacular view of the pool and the lake from our balcony on the 8th floor. The studio room also had a little galley style kitchen which was really nice. 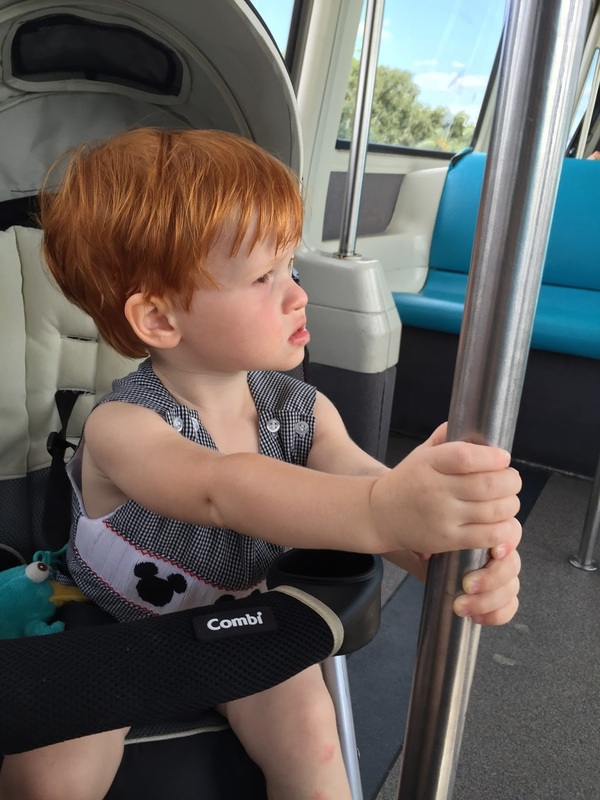 I stayed back with Perry so he could get a nap and Andrew headed back into the Magic Kingdom to meet up with the boys and play the Sorcerers game. Perry and I met back up with everyone late afternoon for a ride on the Haunted Mansion and then dinner at Cinderella's Royal Table. Kate had been to the Bippity Boppity Boutique that afternoon and was all dressed up in hair and makeup and her new Elsa dress. I had Perry a cute shortall made with Cinderella's mouse Jacque on it and Ben had a Gus Gus shirt. We were dressed to dine with royalty. Dinner was really good. I think everyone was happy with each of their courses. I had the cheese appetizer and the pork tenderloin for my entree and both were yummy. Of course what I photograph is dessert. Andrew got the "The Clock Strikes Midnight" dessert which was a combination of white and dark chocolate. 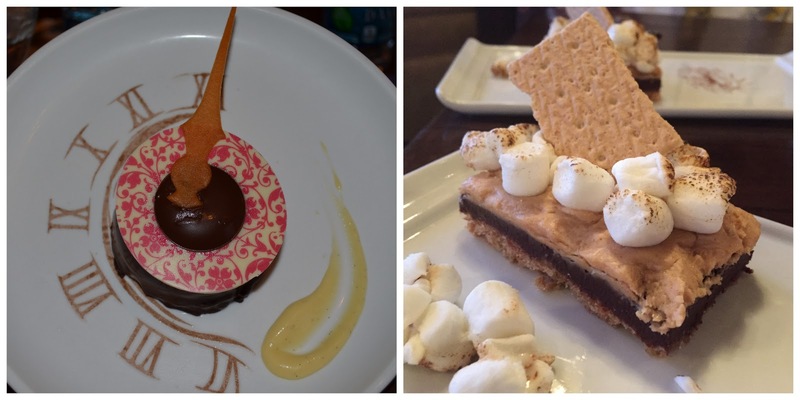 I ordered the peanut butter s'mores from the kids menu...because well it had me at peanut butter. 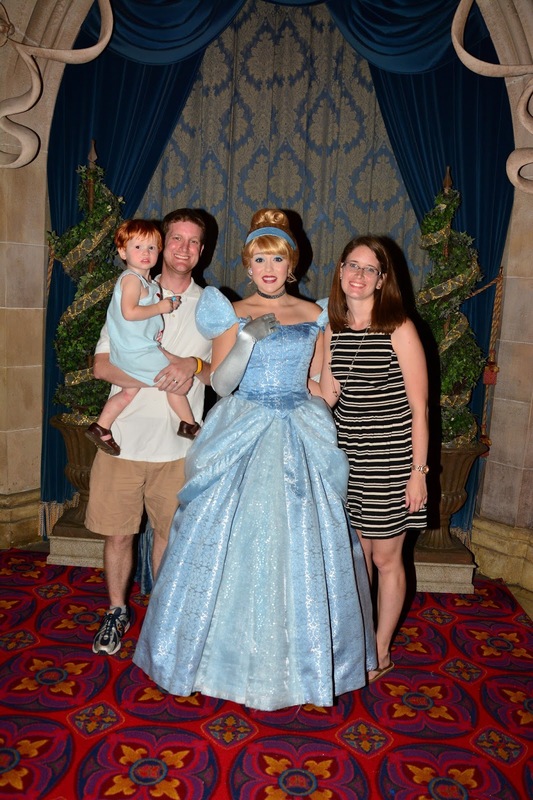 We met Cinderella outside the dining room for formal pictures. Then we met Ariel, Aurora, and Jasmine during our dinner. The picture of Perry and Ariel cracks me up. 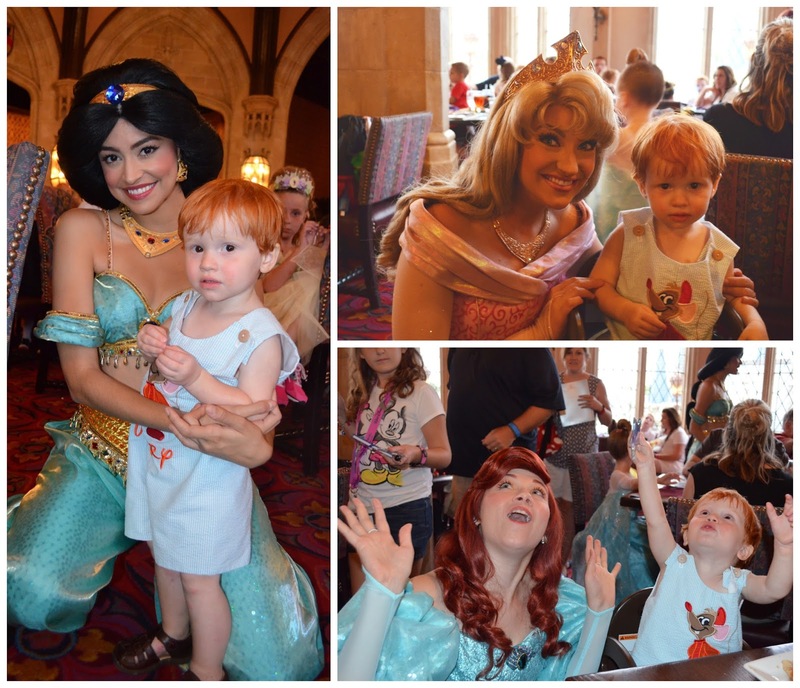 He was so not into the princesses at all (which I suppose is to be expected from a little boy). The one he liked the best was Jasmine. So we were trying everything to get him to interact and smile with them. I'm not sure what was happening here but they both got very excited about something on the ceiling. 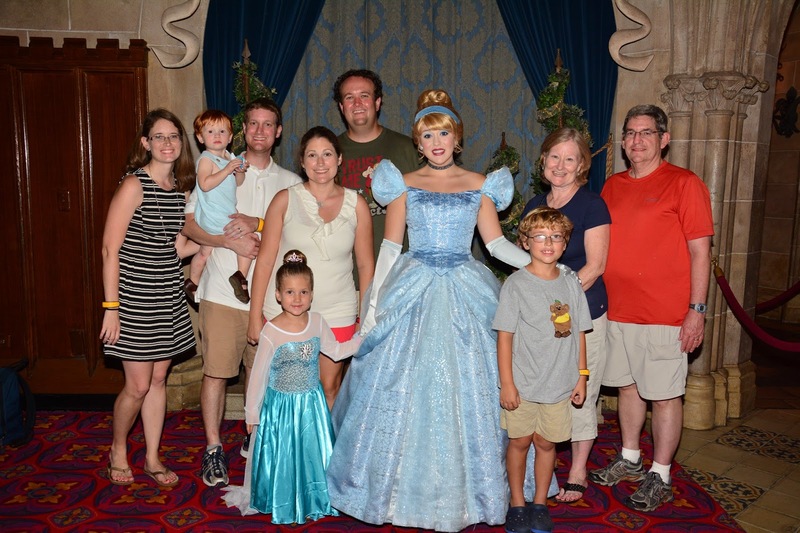 After dinner we went and found a photopass photographer to take a big family picture in front of the castle. And then we went to a fastpass kiosk to see what kinds of fastpasses were still available for the night. We got everyone a Pirates of the Caribbean fastpass for about an hour later and then split off to do some things before meeting back up. 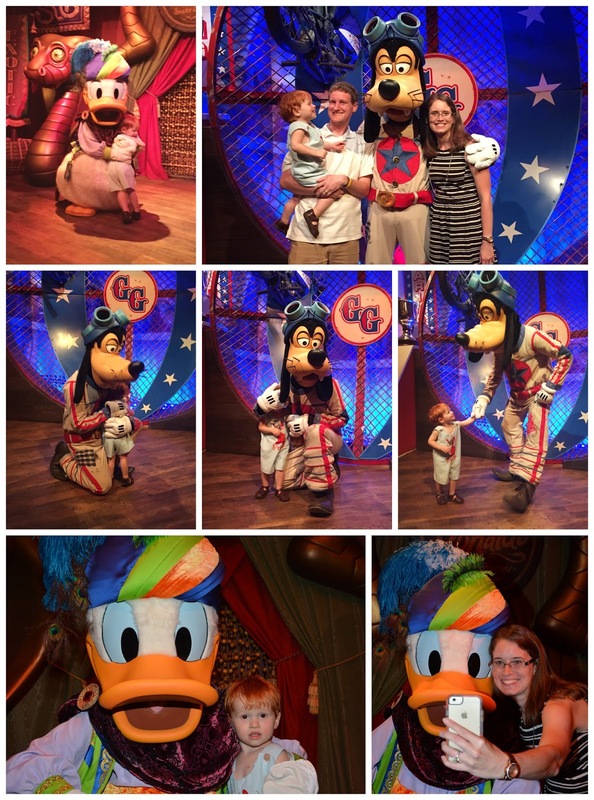 We went back to Pete's Silly Sideshow to formally meet Goofy (or as perry calls him, Dodo) and Donald. Goofy was dressed up as an amazing stuntman, the "Great Goofini" while Donald was pretending to be a snake charmer by the name of the "Amazing Donaldo." It was very fun to see Perry interact with them. He loves them so much. Perry wasn't freaked out by the darkness and sights and sounds in Pirates of the Caribbean at all. 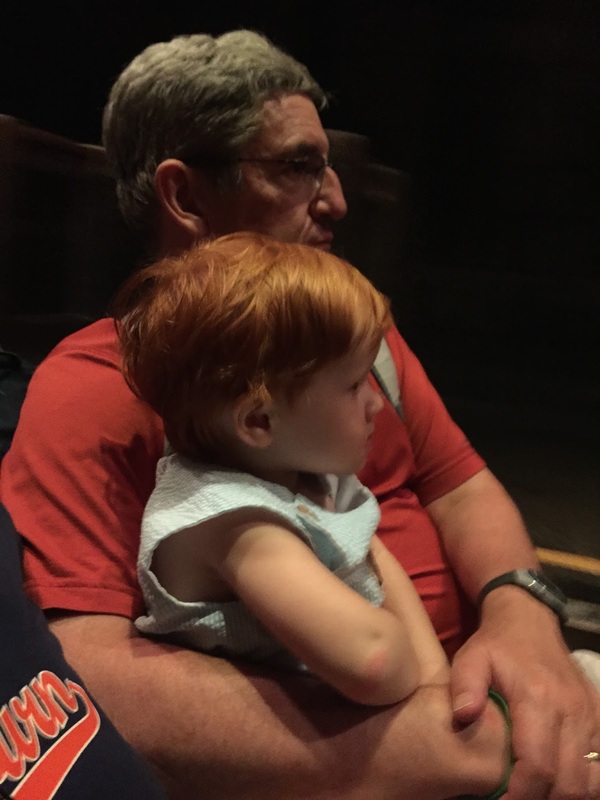 He just sat in his Granddaddy's lap and took it all in. And after that we decided to call it a night. 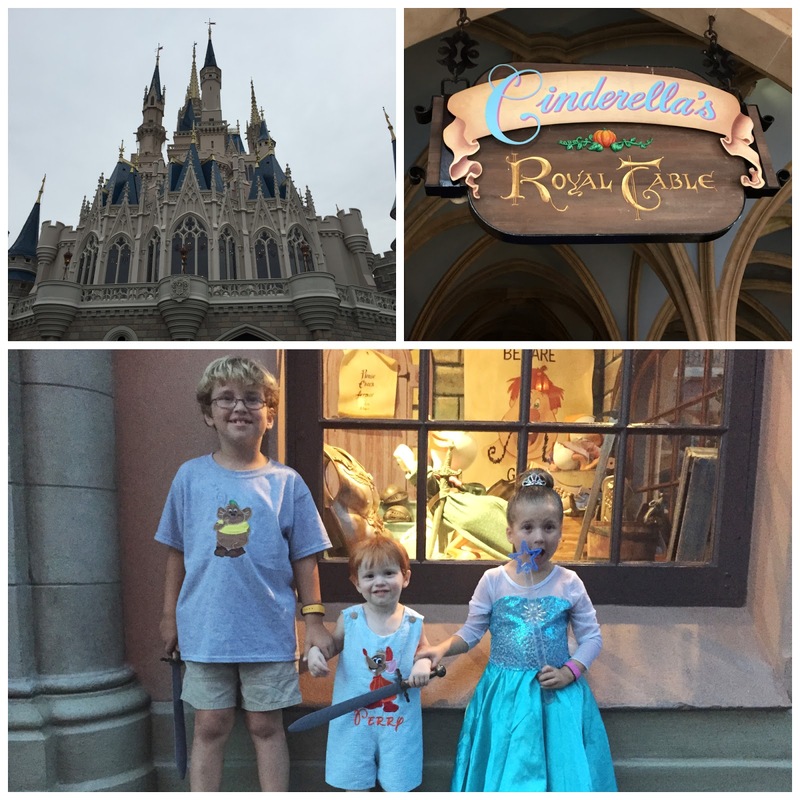 The rest of the crew stayed around (the Magic Kingdom was open until midnight) and played some more. 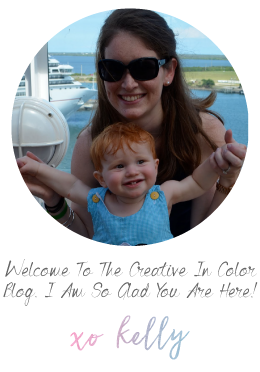 We had big plans to be up bright and early the next day for a special covert mission. But more on that later.